As busy Christian women, we all probably pray regularly - for our husbands, children, friends, sick pets, politics and world events, but not necessarily for ourselves. Women tend to be nurturers and we typically give out until there's nothing left. 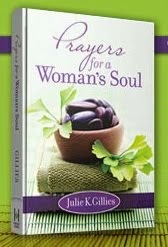 Are you intriged by the idea of praying - for yourself - regularly? I don't mean in a selfish, exclusive, I only wanna pray about me way. I mean in a God, I need a heavenly download of peace, joy, strength and wisdom for today way. Contrary to how we probably feel, prayer for ourselves is not selfish. It's absolutely necessary. I started praying for myself years ago, at the Lord's direction (see the post below). I had no idea that before me awaited three major surgeries, serious marriage strain, a son going into war in Baghdad, a major move and a new job. But it didn't matter, because God knew. God knew that I needed to be prepared, focused and strengthened for the time ahead. Simply put, I needed to build myself up through prayer (see Jude 20). Wondering what to pray about? Below is a prayer list that covers some of the things I pray about. It's just a starting point, but the idea is to motivate you to actively cover yourself in prayer on a regular basis. My heart: healing, strenghtening, purifying. My phyical body and all health issues. I ask for: wisdom, discernment, God's perspective, and love for people. I ask for God to order my steps, and to open and close doors according to His will. I ask for: focus, clarity and direction for the day's tasks. God's word says we have not because we ask not (James 4:2) so you'd better believe I'm going to ask! 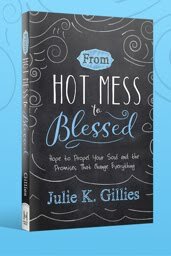 For those of you who already pray for yourselves, (yay!) please take a moment and share something for which you regularly pray. 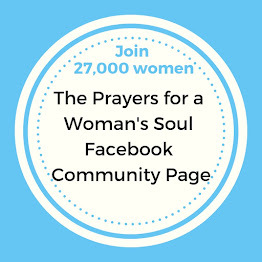 If this is a new idea to you, I hope you're ready to partner with God and begin the powerful commitment of praying for yourself on a regular basis. Apart from Him, we can do nothing. Strengthened by the Lord through prayer, there is nothing we can't do. I'm definately going to start praying for myself. I need it!!! On a separate note, I just read your article in P31. It was wonderful! Congrats on the publication, and more importantly on your son being home safe & sound. Praise God! Lately I have been praying for "rest in my mind." God is answering my prayer! I think you qualify for a "do~over" too! It sounds from your comment on my post that you have had lots to deal with in January. So HAPPY NEW YEAR, Julie! That's a great list Julie. Anything else I thought of already fit nicely into one of things you already mentioned. These are defintely things we need to pray for ourselves. I'm a needy child of the King. Always begging for more of Him. More fruit(you know the 9). More of his love and power. I ask to be filled with His spirit to overflowing. Break me. Mold me. Show me. Search my heart. Give me your eyes, ears, hands, heart. Live in me. Blah, blah, blah. The list goes on. I confess. I tell on others. I dream. I surrender. I LOVE PRAYER. Whether it's for me or others. I continually ask God for clarity of thought and wisdom. In addition, I pray for a closed mouth and a gentle spirit. Have a great week. Stop over tomorrow for a give away or two. Like you stated, I pray for others, but sometimes think I can handle things on my own without "bothering" God about my concerns. Or, I feel selfish for asking for myself. I recently broke down and finally gave my hurt feelings over a situation to God. He knew about it anyway, of course, and was waiting to pour out peace and love. I don't necessarily have an "answer" for the problem, but I do feel His close presence. And that's more than enough. Thank you for your wise, loving, timely words. God bless you richly today, as you have blessed me. 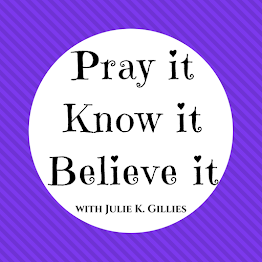 I had a friend today bring up the idea of praying against deception. We are living in a day and age where deception is running rampant. It would be good to guard ourselves against it. Everywhere I turn, over the past few days God has been speaking to me about prayer. Feel I need to set aside more time to be seeking Him and listening in His presence. I write a new prayer for myself everytime I start a new journal based on a passage that the Lord brings to me. This journal is: "let my mouth be a fountain of wisdom, and my words like a honeycomb, sweet to the soul and healing to the bones." I am constantly praying for wisdom and grace. That God would use me to glorify Him daily. I linked to you today (Thursday) so come over if you get a chance. THANK YOU for praying for me. Your timing is great, as this has been a bad week for me. Nothing critical, just life.